A damaged or cracked tooth is never fun. Luckily, the dentist Glen Allen residents trust for their crowns and bridges and oral health care needs is just a phone call away. We have the experience and expert knowledge to safely restore your tooth so that you can quickly get back to your normal routine. So what is a crown, and how can the procedure help you? When a tooth is cracked, broken, or damaged in any way, a dental crown can be used to save the tooth. A crown is essentially a cap that covers the tooth. Assuming the root of the tooth is not damaged, this is a great way to repair the tooth and bring your smile back to the way it was. A dental crown strengthens your tooth and is a great substitute for your natural tooth; blending in seamlessly with your smile. Am I a candidate for a crown? A crown can be placed over a tooth and is designed to match your existing enamel so that the procedure doesn’t take away from your smile. Dental crowns are also used in procedures requiring bridges, root canals, or implants. The crown helps dental work stay in place and adds the support your tooth needs to remain healthy. Diagnose the problem to ensure the tooth will support a crown. Prepare the tooth to receive the crown. The tooth may need to be filed down to allow for a comfortable and natural fit. Fit you with your permanent crown, thus completing the procedure. If a dental crown is right for you, our Glen Allen dentist offers the most professional care in the area. Schedule your appointment today with our team to learn more or check out our Facebook page. 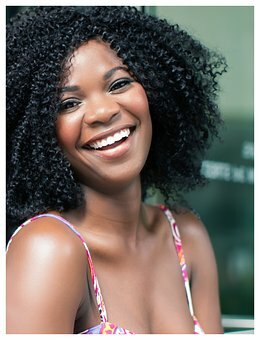 See how your smile can be restored with a simple procedure and get back to your daily routine quickly.